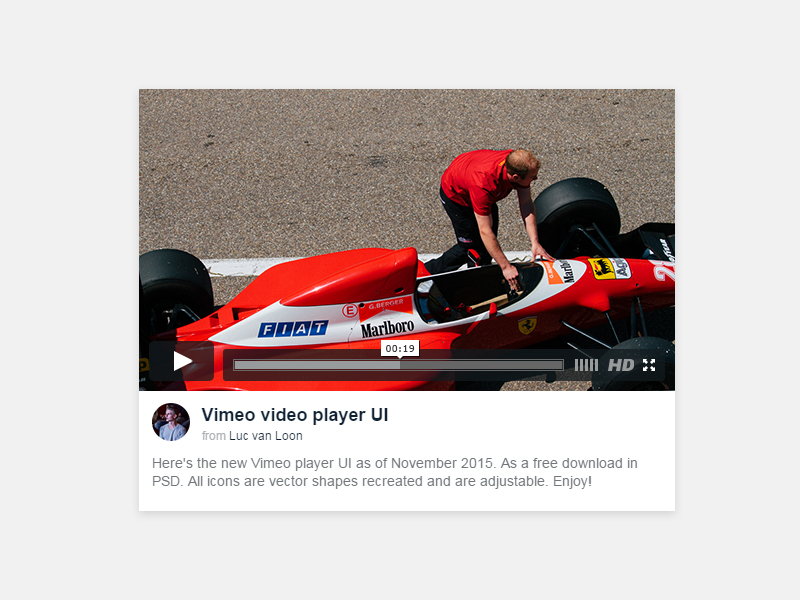 This post brings you a beautiful UI PSD for latest Vimeo Player. This Vimeo Player UI PSD comes with all recreated vector shapes and icons and is a good resource for showcasing your great apps and designs. Infact, the icons and vector shapes can be adjusted too without any problems. This freebie has been designed and released by Luc van Loon.